Stepping into the skier's plaza in Whistler village for the first time can be an exhilarating experience, if not a little intimidating even for the most seasoned of skiers. Two gondolas upload toward two different peaks with over 8000 acres (3,307 hectares) of terrain between them. Where does an advanced/expert skier or snowboarder start? If you're not lucky enough to have a local to show you around, the best alternative is to buy the Ski and Snowboard Guide to Whistler Blackcomb. 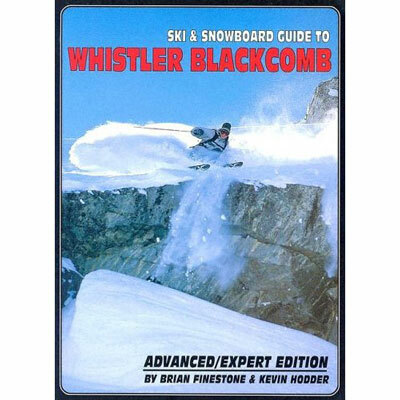 Authors Brian Finestone and Kevin Hodder have an enormous amount of guiding and patrolling experience between them and have crafted the most comprehensive guide book to Whistler Blackcomb. They present detailed information in a user-friendly format, much like rock climbing guide books. Each line of descent is named, numbered and photographed. A short text paragraph describes what the ideal conditions are, how to approach and ski the line safely and highlights any dangers or hazards. It's pocket sized for easy reach when you are scoping lines from the chairlift. The front of the book is full of relevant information and regarding safety in expert terrain, explanation of signage on the hill and common hazards (such as tree wells and cornices). There is also a section on avalanche control and weather in the Coast Mountains of British Columbia. For those spending a season or longer in Whistler there is a check box for each of the 198 runs mentioned, most which are not shown on the regular mountain trail map. Almost every local rider owns or has read this book and it is an excellent reference. 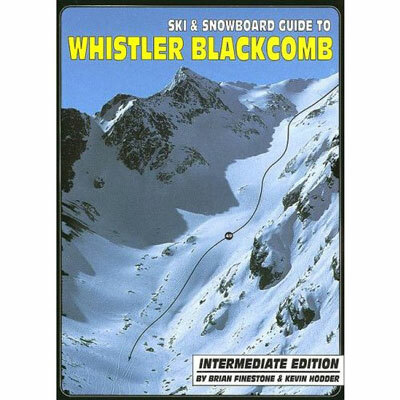 If you are going to Whistler for a week or a staying for a lifetime, the Ski and Snowboard Guide to Whistler Blackcomb is an essential purchase. A comprehensive multi-lingual guide for intermediate skiers. Advice on how to beat the crowds, where to ski with the family and ratings on Whistler Blackcomb's best cruiser runs.